A covered walkway connects the convento to its kitchen. 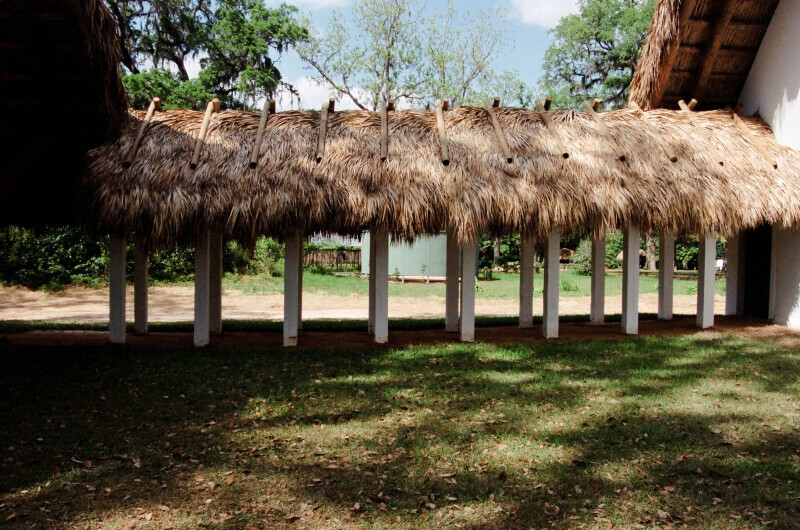 It is constructed from wooden beams and a thatched material. Shadows and light intermingle on the lawn.